One of our favourite people to fire questions at is Switzerland’s David Graf, he always responds with considered answers, speaks his mind and is not opposed to ruffling some feathers. David Graf is good for BMX! 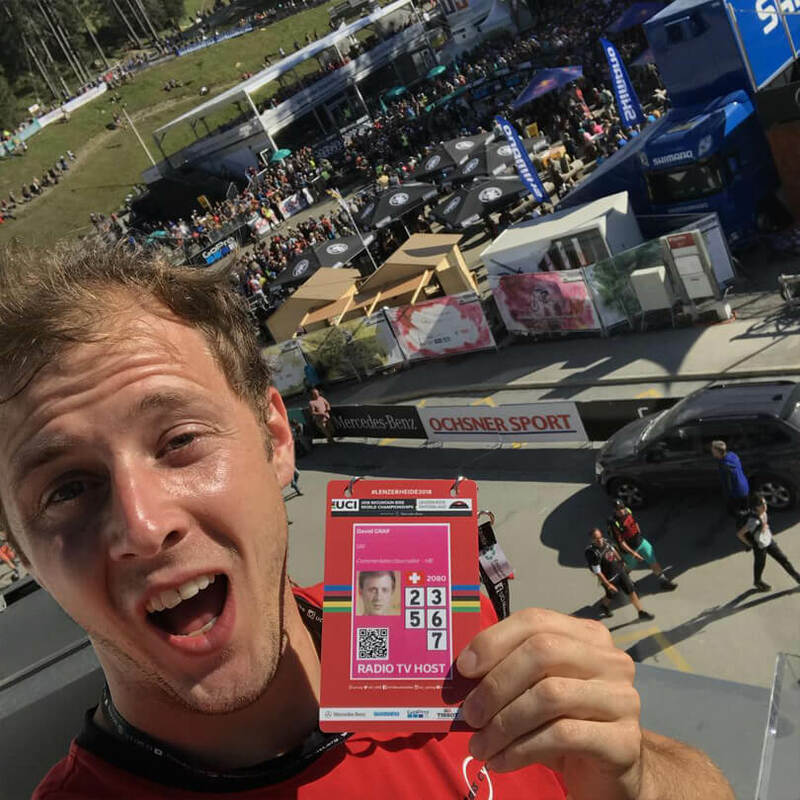 So, with that in mind, we caught up David after his recent excursion, in an officially capacity, to the mega MTB Worlds in Switzerland … was there anything BMX could learn from the MTB world? 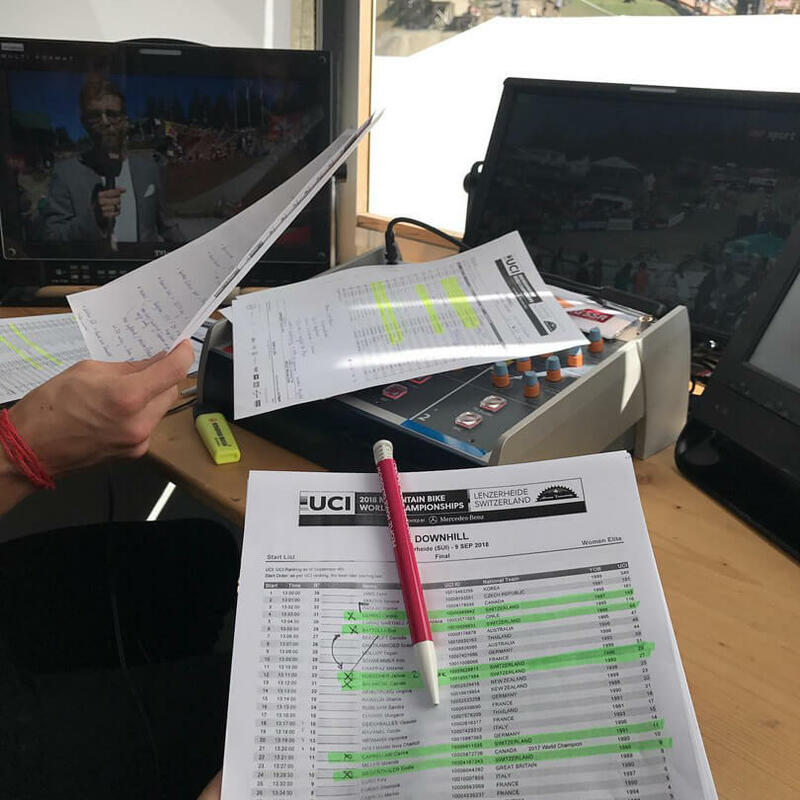 15: You’re just back from your first professional commentating job at the 2018 Downhill MTB Worlds in Switzerland … if we recall correctly, you’ve had some opinions on commentators in the past, did the experience change that at all? Going into MTB Worlds as the ‘Downhill Expert’ was kind of weird, I’m not sure why they asked me. I’ve done one Downhill race myself but I was ready for the challenge and did a lot of research to not let them down. I knew my colleague was a professional and would be prepared, but mostly for the Swiss riders. So I focused on the other 100 riders and mostly on the top 20 guys, it worked out pretty well. Four hours in the booth went by quickly. I did get really good feedback so far. This experience didn’t really change my opinion on what I said in the past. If anything, I still believe with more preparation and a better game plan the level of commentary could be upped another notch. But, I know how difficult it is to get information in the BMX scene, this is much easier on the MTB side. 15: The event looked huge, on a completely different level to BMX Racing, did it surprise you? Graf: It was huge, I expected a big event. 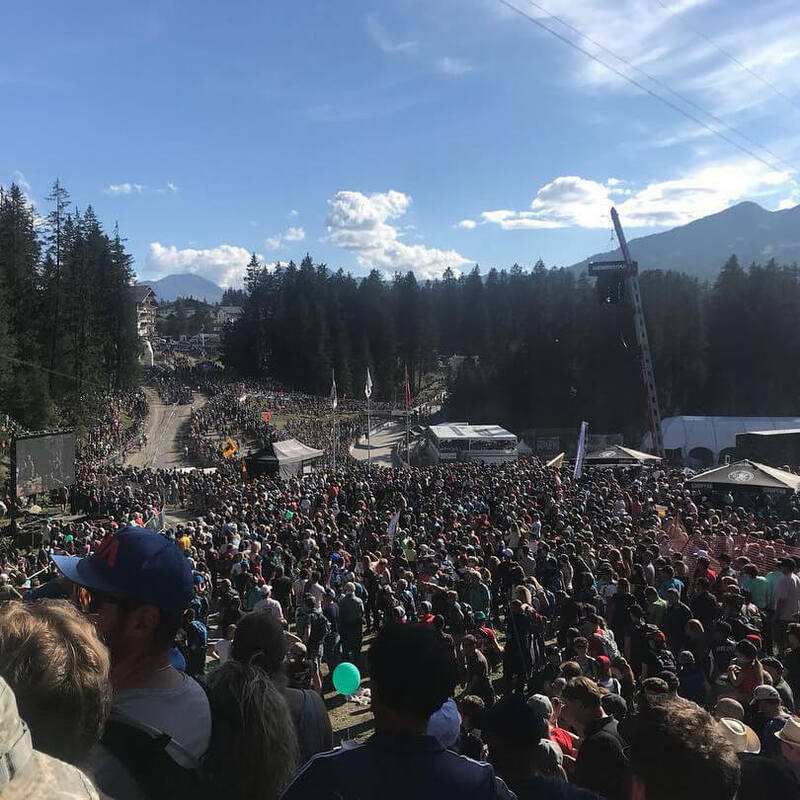 I have been at previous MTB Worlds as an athlete myself but this was on another level. Officially there were 64k spectators over four days and more than 24000 on Saturday alone. It surprised everybody! 15: What are the MTB people doing that BMX could learn from? Why do you think MTB has such a huge following but BMX Racing can’t seem to entice the general public on an ongoing basis? Graf: BMX will never be able to attract these kinds of masses I think. MTB has such a big background from everyday riders that are keen to go watch the best in the world. This is missing in BMX, we need more people involved to start with. More tracks with good clubs. Plus, these should be open to the public to just take a lap or two whenever they want, with whatever bike they come across the facility on. What are they doing differently? As I’ve said it’s much easier to get information in MTB scene than in the BMX scene. This is a big part of it in my eyes. VitalMTB, Pinkbike, Dirt, MTB-News … all these sites provide phenomenal content. They dive into details so much more than what anyone does in BMX and this grows the interest in people to see it live. I know this has a lot to do with the market being much smaller, less money for websites to create good content. But, I think it is simple. We need to find a way to create more BMX race fan enthusiasts. 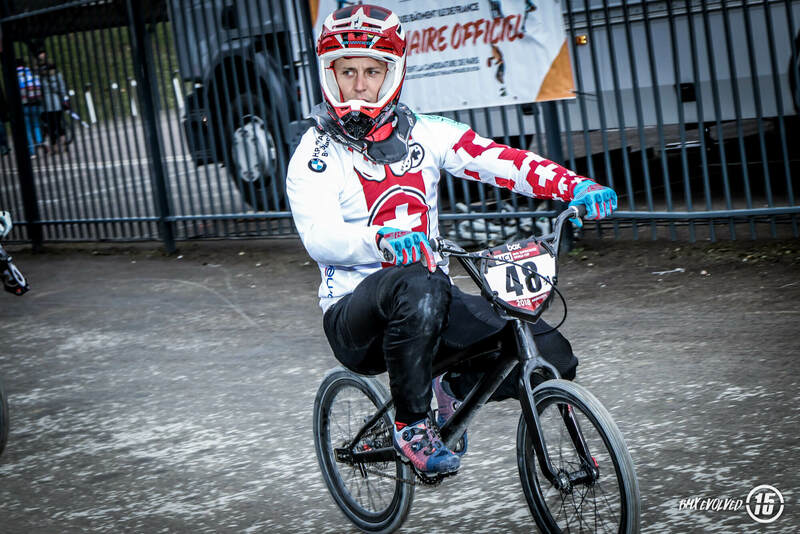 The MTB Fans that come out with chainsaws and costumes would not come out if there was the same amount of coverage over the season as there is in BMX. They create a hype and we don’t even get our small ones to watch the stream online. All these media guys that come to BMX World Cups, could step up their game by doing videos next to taking pictures. Again, I know this is a lot to ask for. Then having a site to go to for any information with videos of practice and interviews pre-race and after race … even during the race. Something like the Vital Raw Edits or WynTv. This would show what characters are in the field, next to the official video that has to be tamed down and always includes the same five guys/girls out of the 120 attending the race. I could imagine there are people that would appreciate the opportunity to see videos focused on a rider’s technique etc. Analysis of practice start times the night before the event starts, time analysis after day one. I know this might be for geeks only, at the beginning. But this would maybe start more interest in elite level racing. This would be a start to help our sport grow on the elite level so you don’t have to go to all the individual social media accounts to find any information on how that World Cup is going to be. Create hype in the week before. I like the attempt with the Interviews we saw lately on FatBMX and UCI SX but questions tailored to individual riders may get a more unique answer. I think on the Media side of things we can learn the most! There would be so much to tell at a double World Cup weekend but no one gets anything of that. On another note. An idea I had when I saw what they did in XC MTB. Why not trying to get a city event the night before the race to get some attention. For example, you take top 20 start times out of the practice session and we do a 30m ‘Gate-off’ event in the city center with points on the line … or something similar. 15: We’ve often wondered if you separate the Elite level from the amateur level would that entice non-participants to the sport as well as make kids at the amateur level want to go out and watch you guys, not unlike the Euros in Glasgow. We can’t think of another sport where the elite level is mixed with the rest of us. Basically, has the mystique of the world’s best racers been lost in the mix? Thoughts? Graf: I think we need both. I like going to St. Etienne because of the kids, racing at night when they are done racing, makes for a good show. I don’t like the UEC schedule. Mixing us in with all the classes takes away a big part of the mystique in my eyes. They could do this until 1/8 finals and then finish the amateurs and have a pro show from the quarters onwards. But these mixed events are the roots of our sport, and they are not wrong. But we also need big events, Pro only with a lot on the line and a great build up to it as well. So, the local BMX kids really want to come out watch it. Plus, the public that has nothing better to do on a weekend. A big part of the mystique of the Elite riders is gone because of social media, now we have to find a way to create this again. Make those kids fans again. 15: Before we let you go … we have to ask about the progress of the ‘David Graf’ Prophecy BMX frame. Can you give us any ideas what to expect and will you be riding it anytime soon? Graf: Well, I knew it will take a while. I really hope I get my hands on it in December and you see me racing it early next year. There is a lot of work going into this. Not much more to say right now. Sorry for that 😉 It will be a BMX bike to my liking and hopefully others will enjoy a bike that is just perfect to go fast on. Love the interview with David Graf, one of my favorite riders!